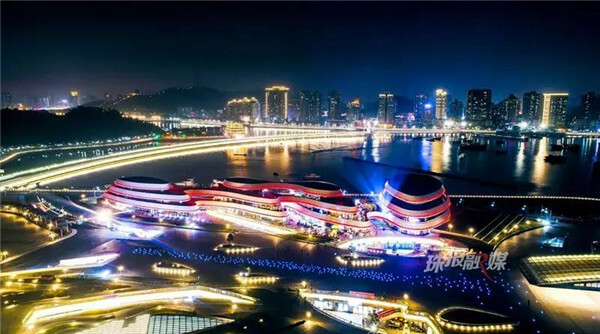 Zhuhai's Lovers Avenue was vibrantly presented to the world as billions admired the romantic coastline during the CCTV Spring Festival Gala marking the Year of the Dog. 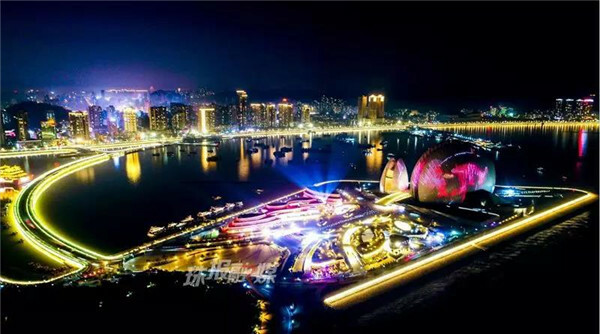 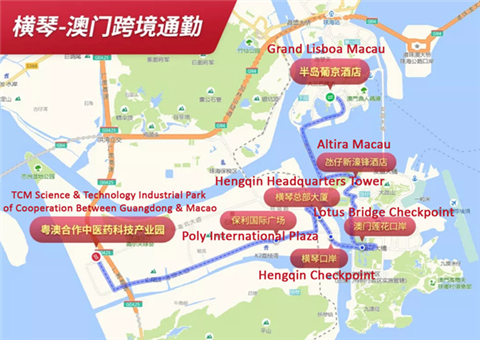 Since then, the lighting of Yeli Island, Central Lovers Avenue, Xianglu Bay, Haibin Beach (City Parlor), and beyond has become even more imaginatively appealing. 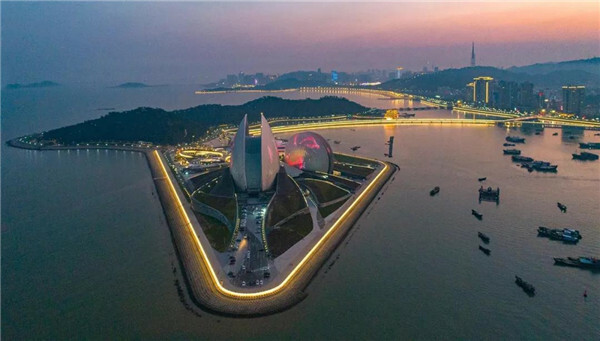 Today, or more appropriately tonight, the two scallops of Zhuhai Opera House, the adjacent Hi City recreation-commercial complex, Tourist Center of Yeli Island, and auxiliary buildings glow with splendor and sleek modernity. 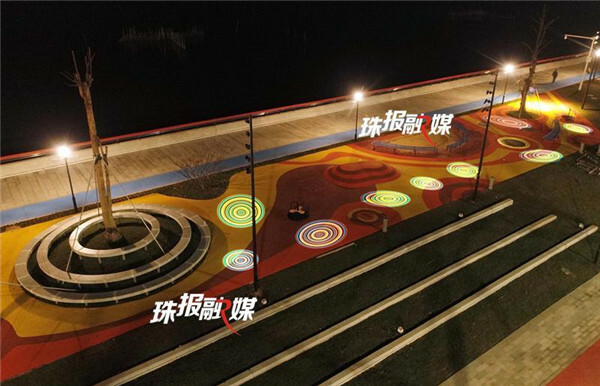 Warm yellow glows along the graceful avenue add sensuous touches to the evenings. 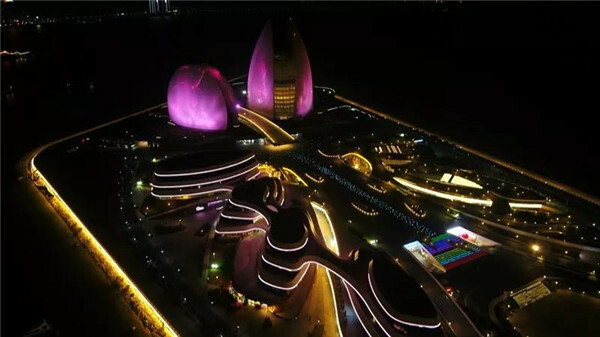 Strollers meander safely in view as the Fisher Maiden statue, hands raised with a majestic pearl, comes to life in illumination designed to animate the tourist symbol of the City of Romance. 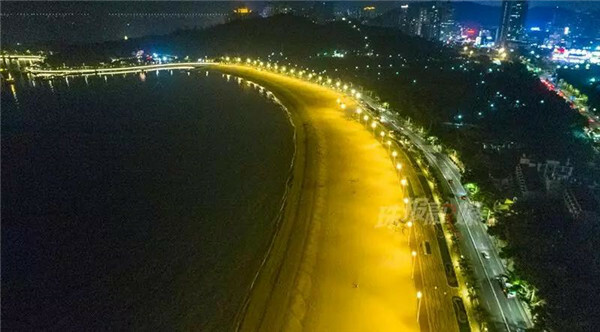 Picturesque by day, Zhuhai's famous seaside avenue is enthralling residents and visitors alike by night, revealing a heartwarming city of many hues. 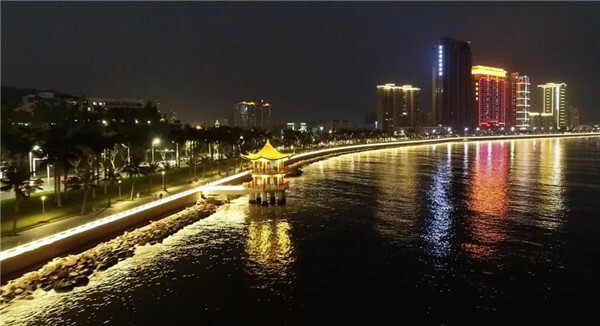 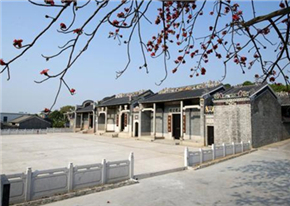 Lovers Avenue in Xiangzhou District is not alone in illuminating the romance of Zhuhai at night. 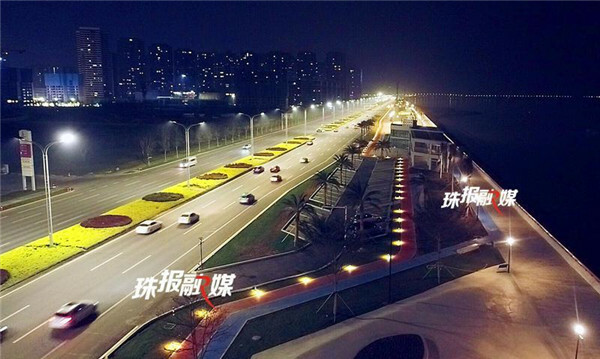 East Airport Road, also known as Jinwan District's Lovers Avenue, has added 6,000 lights along the broadway. 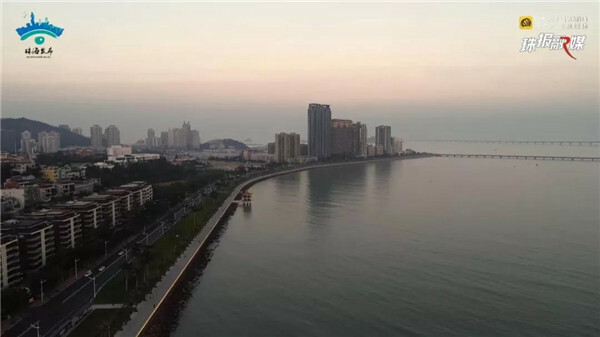 The 6.4-km coastal stretch of high-rise apartments inland and wide waterfront landscape is a favorite setting for leisure and recreation. 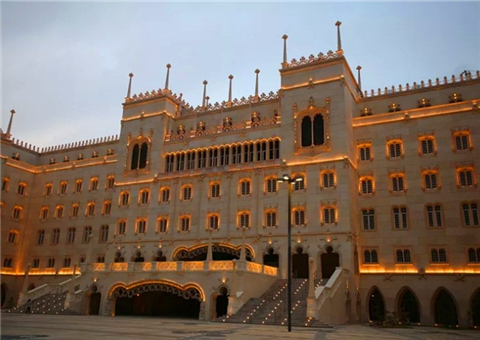 And so, the lamps are not merely for esthetics. 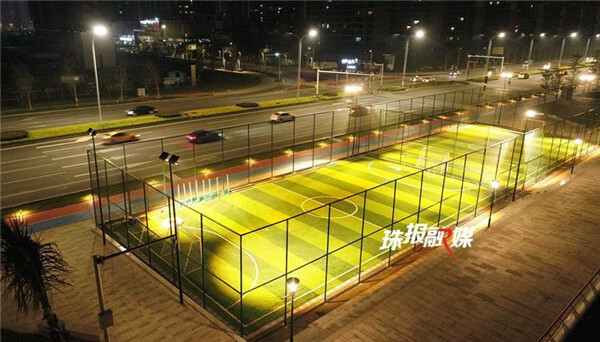 For enjoyment and safety, they are placed high on poles, in trees, lower in gardens and on lawns, inground along footpaths, and along handrails.